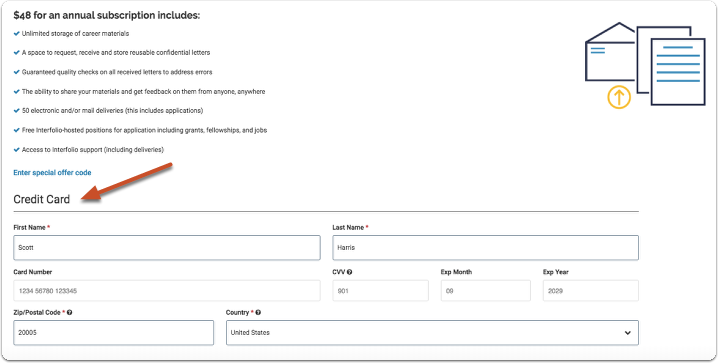 With an upgrade to Dossier Deliver, you can use your account to deliver letters of recommendation and other application materials such as your CV, evaluations, and writing samples where you need them to go. 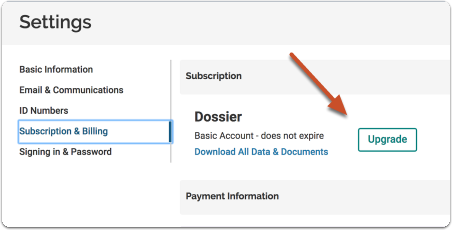 Dossier Deliver is a premium service that allows you to send up to 50 academic deliveries for a flat annual fee of $48. With your subscription, you get 50 delivery credits. 1 delivery = 1 credit, regardless of the number of documents included in that delivery. 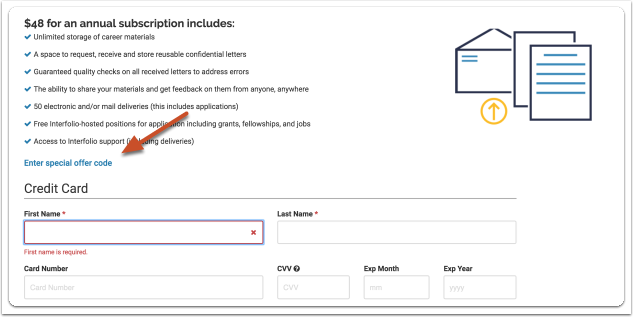 Gather your best materials, including confidential letters, then send via email, web, or mail to academic jobs, post-docs, fellowships, and more. Apply Anywhere: Send up to 50 deliveries of academic materials for under $50. Get Full Support: Focus on your application, not delivery details, with access to intelligent customer support for all technical and submission issues. 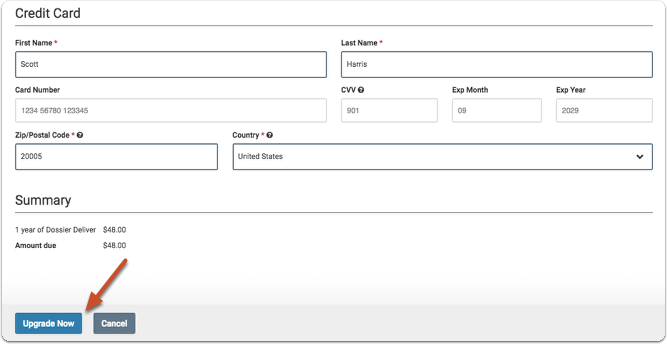 Manage and Send Confidential Letters: Experience less hassle for letter writers (and requesters) with a system for soliciting, storing, and sending confidential letters. Letter Quality Check: Our team of Quality Control experts individually checks each letter of recommendation to make sure all the necessary signatures are in place, all names spelled correctly, that the letter is displaying correctly, and other issues. If we find an error, we will promptly alert you and contact your letter writer with instructions on correcting the error. 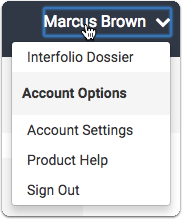 Collect and Curate: Use our single, secure location to gather and organize all necessary and confidential academic documents. 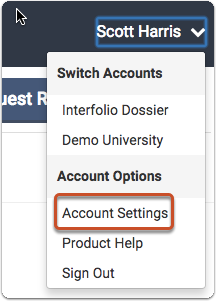 Sharing and Receiving Feedback on Dossier Materials: Collect feedback on academic materials and present your academic work, research, and creative production to the academic community. 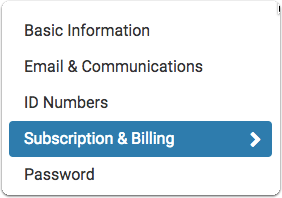 Select "Subscription & Billing", and then "Upgrade"
Click your name at the top right of the account dashboard and select "Account Settings"
If the subscription is still active and you want to apply a special code to your next renewal, click "Apply an offer code to my next renewal"
Enter the code and click "Apply"
We will automatically apply the code when your subscription renews! 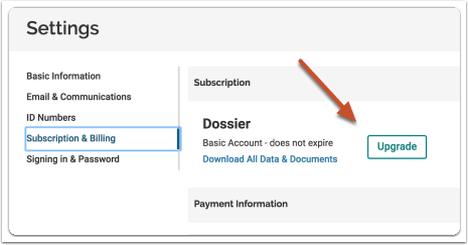 To apply a special code to renew an expired subscription, select "Subscription & Billing", and then "Upgrade"
On the upgrade page, click "Enter special offer code"